Mini Microsoft Xbox One X - 3D Printed! 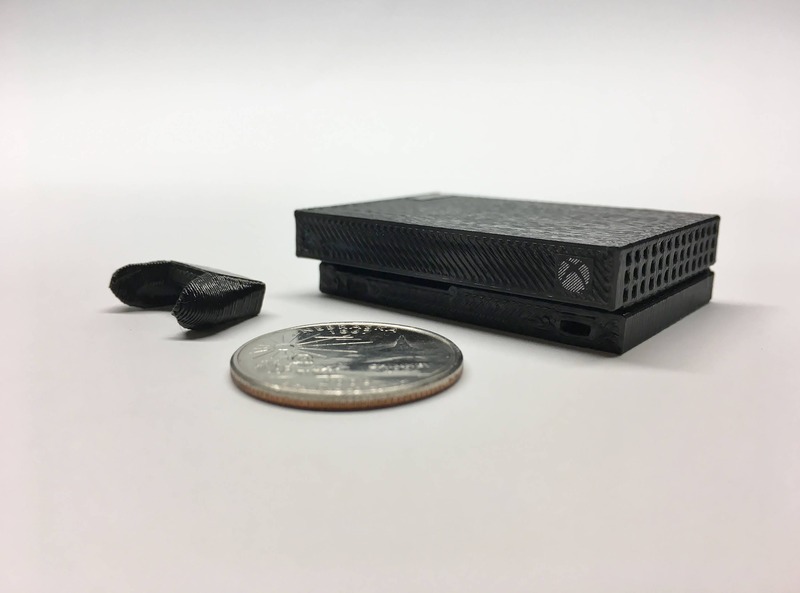 This tiny, 2" Microsoft Xbox One X was designed using open source CAD software, 3D printed on a Makerbot Replicator, and hand painted and assembled. Includes the console and one controller. A great addition to your desk or studio. Mini Microsoft Xbox One - 3D Printed! Mini Microsoft Xbox One S - 3D Printed! Mini Microsoft Xbox One S All Digital Edition - 3D Printed! Mini Acorn Archimedes A310 - 3D Printed! Very fast shipping. Going to use this as part of the groom's cake at my upcoming wedding, and I can't wait for my guests to see it. It looks amazing, fast shipping! Mini Nintendo Wii - 3D Printed!